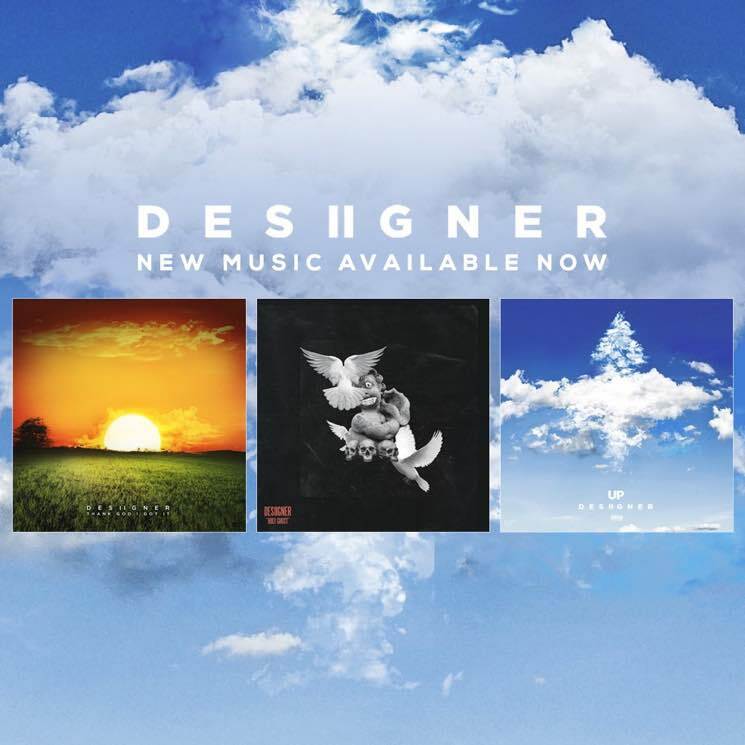 ​Desiigner Drops "Thank God I Got It," "Up" and "Holy Ghost"
Desiigner has recently been toasted by Canadian treasures like Nardwuar the Human Serviette and Jeopardy! host Alex Trebek, but the Brooklyn rapper isn't slowing down to rest on his laurels just yet. To celebrate the kickoff to his "Outlet Tour," he's just dropped a handful of brand new tracks. "Thank God I Got It" and "Up" have just been released on streaming services, while a previous SoundCloud-only cut called "Holy Ghost" has now made its way to official channels, as well. Give all three tracks a spin down below via Apple Music and Spotify. Desiigner's "Outlet Tour" is currently under way, hitting Vancouver tonight (April 4), before making another Canadian stop in Toronto on May 16. See the full list of dates here.